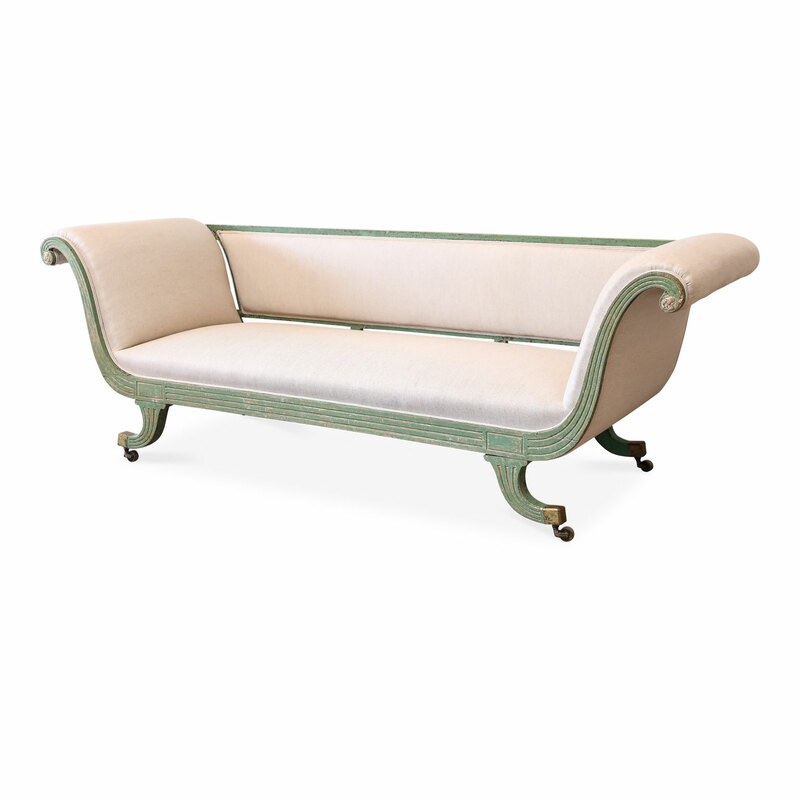 Regency scroll arm sofa constructed circa 1820 for an English country estate. Stands upon out swept legs (supported by original gilt brass castors). 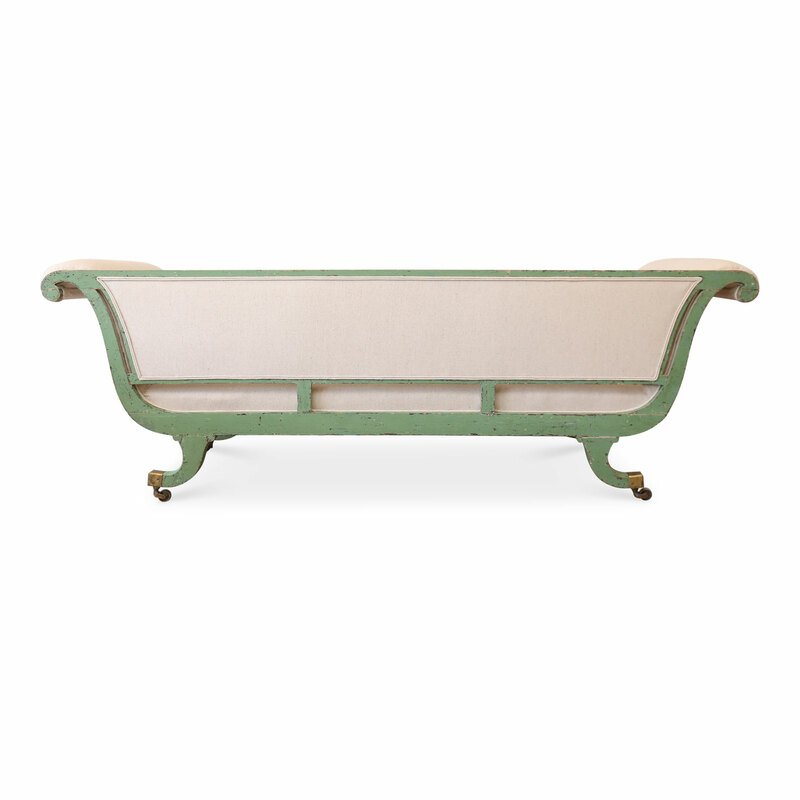 Sofa is dry-scraped back to its original green paint with traces of gilt. Carved decorative elements include carved rosettes (on arms) and fluting. 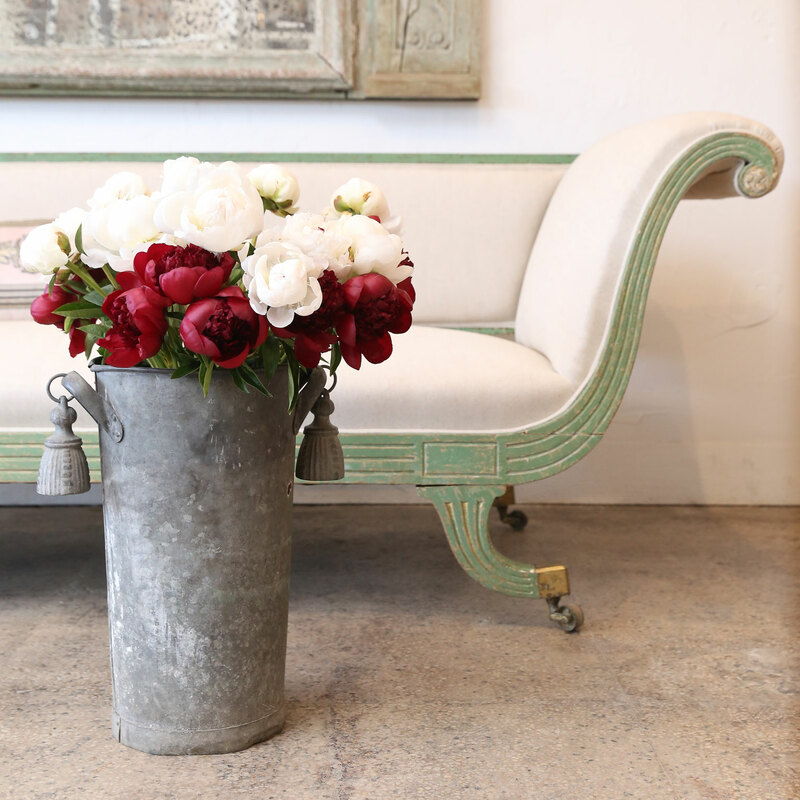 Upholstery is newly-covered in linen and includes original reinforced webbing and newly-crowned original horsehair. Condition: ExcellentArm height: 31.5 inches. Seat measures 16.75 inches high x 64 inches wide and 27 inches deep. Wear consistent with age and use. Very sturdy. Webbing reinforced and original horsehair upholstery crowned and newly covered in linen. 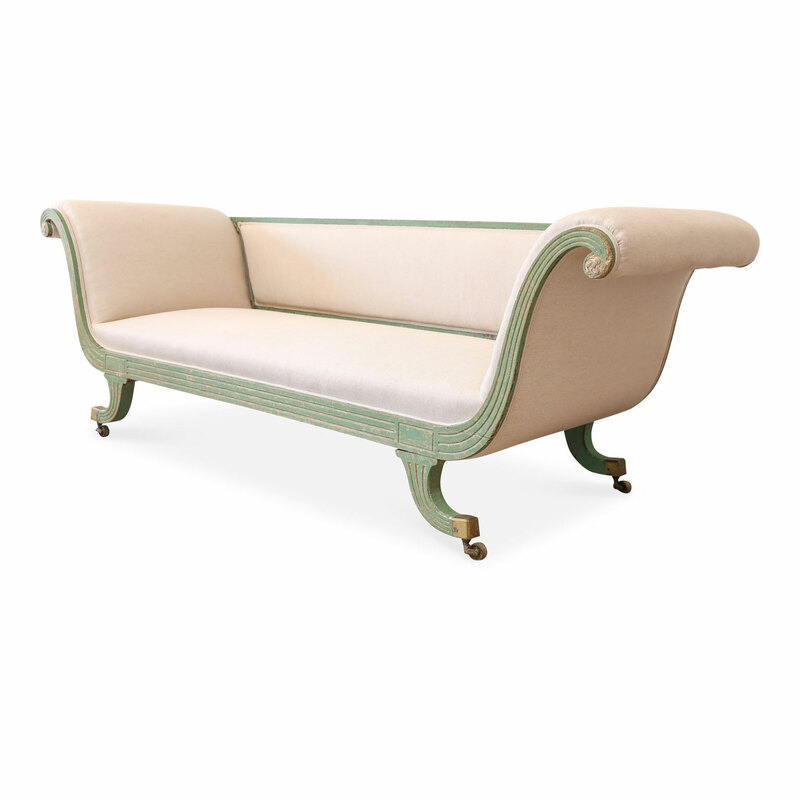 Materials: Hand-carved and painted wood, giltwood, linen, gilt-brass and horsehair.